Have your room make the statement that you are a true fan! 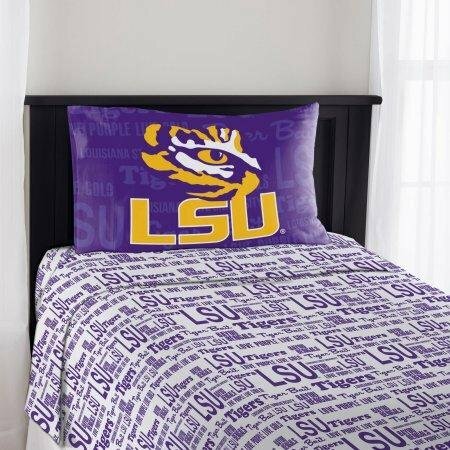 This officially licensed Collegiate Anthem Sheet Set by The Northwest Company lets you sleep and dream, while still showing pride for your favorite team. The large, vivid logo with a repeating pattern background pillowcase and a coordinating sheet set makes this a bold bedding ensemble. This set comes with one flat sheet, one fitted sheet and standard-size pillowcase. Let your Official College Sheet Set show your pride daytime or nighttime. Made from 100 percent polyester, this set is machine washable.